2016 Holiday Cheer + Gift Guide! Click Here to Read Our Holiday Cheer and Gift Guide! 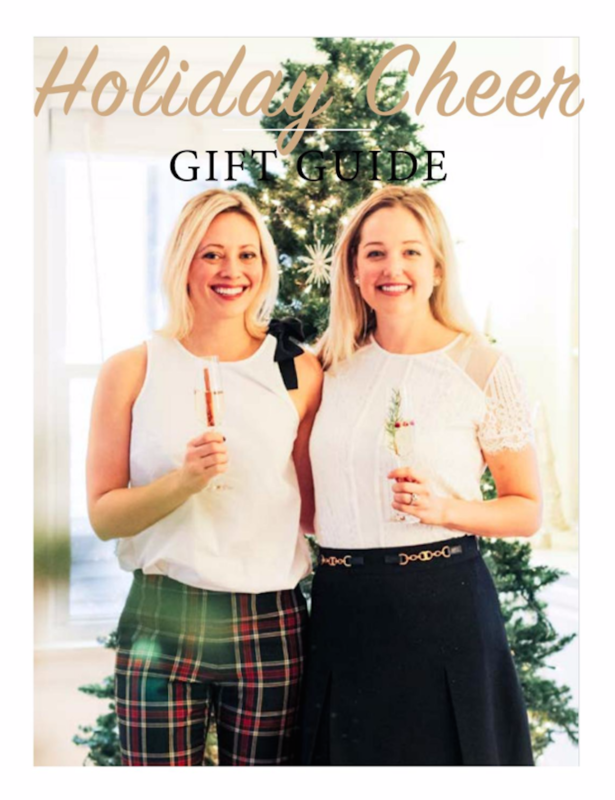 Nicole and I share “our story”, some great tips for decorating and entertaining, and of course, some of our favorite gifts of the season. Be sure to take a look at each note too – some things may surprise you! Announcing this feels like Christmas morning. So please take a couple minutes to check it out and let us know what you think! And, if you really like it, please share with friends, tweet, insta’, snap.. We would love it! You guys did such an awesome job!! Love this! Thanks! There are Michael Kors (old). I definitely don’t wear them enough! What a beautiful job on this, ladies! I hope that it becomes an annual tradition :). Thank you! Who knows, maybe we will need to pull in more SIL’s for models next year? !